Here are a few storylines from all Florida athletes that finished top 10 in the championship events at NBNI. Tamari Davis went three for three winning her third national title in the 200m in a time of 23.24. Davis chose to stick with the 200m distance this year instead of doubling in the 60m like last year. This strategy paid off as the Oak Hall sophomore PR'ed in the event, running two-tenths of a second faster in the finals than she did in the previous year. 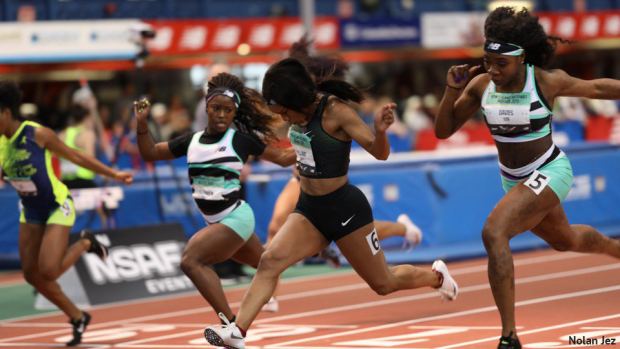 Briana Williams had a fantastic first indoor race of the 2019 season winning the 60m national title in a PR of 7.28. Palm Beach senior, Jacious Sears, put on a show in prelims with the fastest time heading into finals of 7.33 with Williams right behind in 7.36. In the semi-final, Williams stayed consistent in the second place running 7.37 With sears in eighth running 7.52 to both qualify for the finals. Williams turned on the jets in the finals, winning the event by two-hundreths of a second. 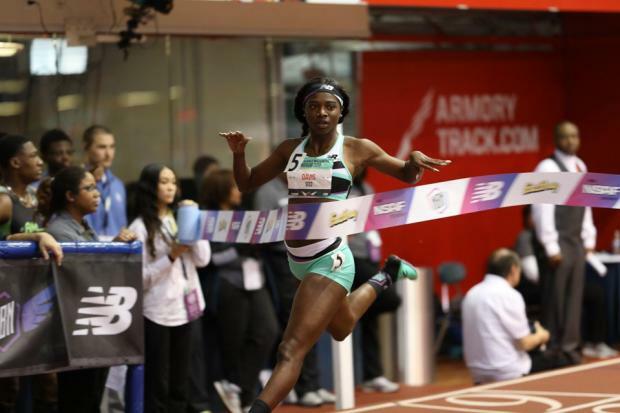 Sears finished fourth in 7.40 for her highest national performance in her entire career. Bolles senior, Charles Hicks, ran a new PR of 8:59.81 to finish third in the championship two mile race. Devin Hart of New Jersey was the champion in a time of 8:56.89 and Hicks was nearly two seconds ahead of fourth place as he cross the line as a national all-american. This was the Stanford signee's highest national performance in his high school career.